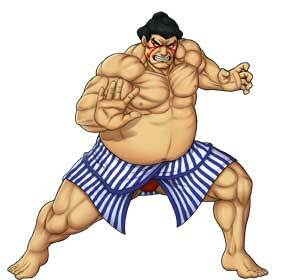 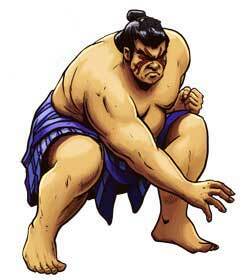 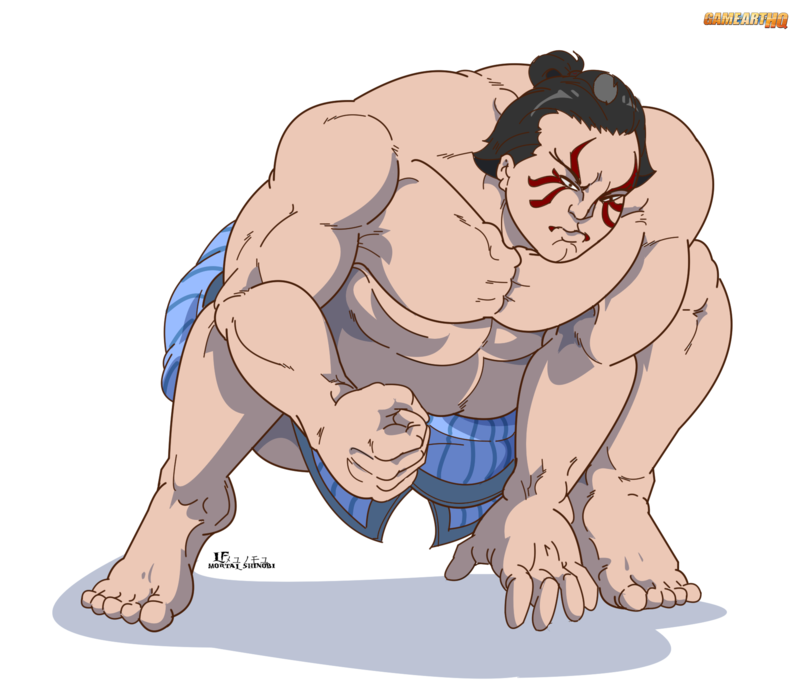 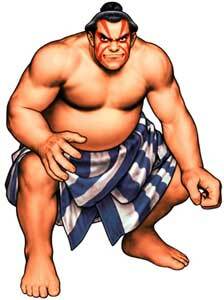 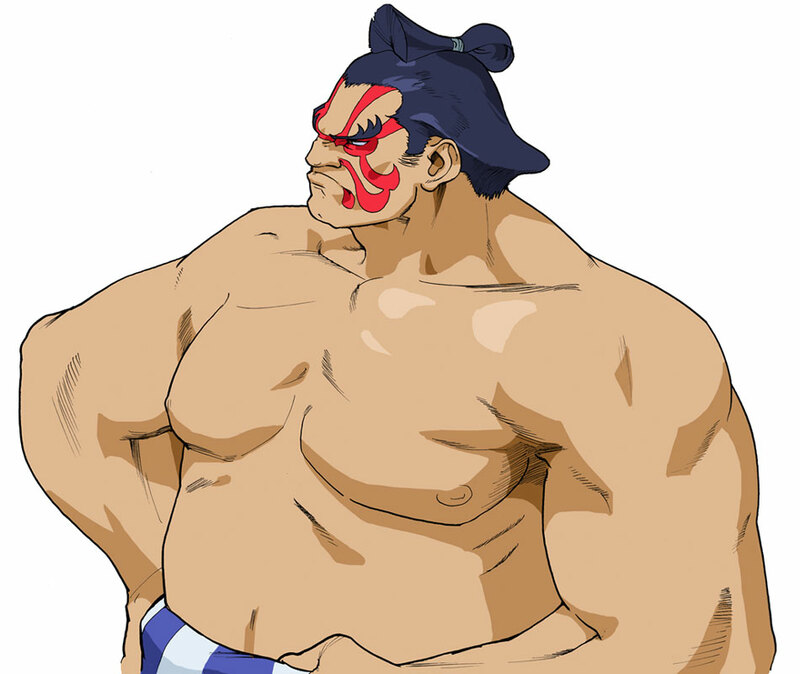 E.Honda was a really cool character back when he debuted in Street Fighter II as the first playable Sumo Wrestling character in a worldwide released video game. 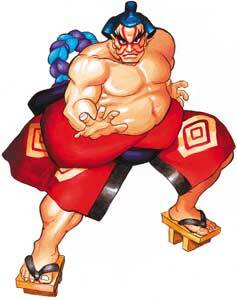 I remember how he became one of my favourite Street Fighter characters back in around 1993 because Yokuzuna was such a badass “monster” in the World Wrestling Federation who defeated guys like Hulk Hogan and even the Undertaker. 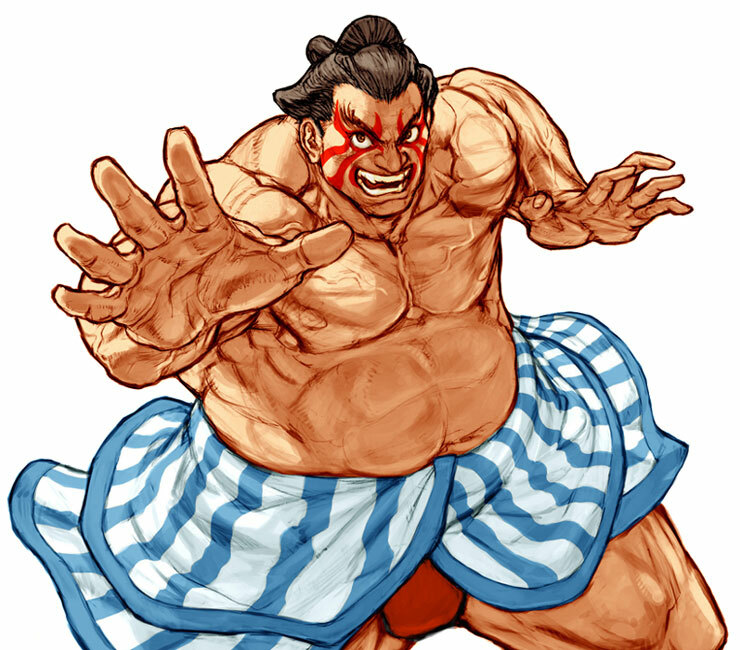 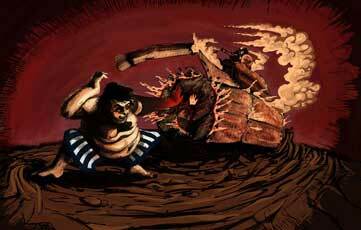 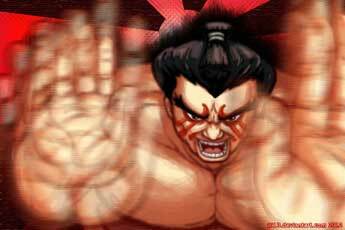 His funny special moves like the “Hundred Hand Slap” and especially his Sumo Headbutt made him a very capable character. I did not like how Capcom changed him more into a joke character in Street Fighter IV though. 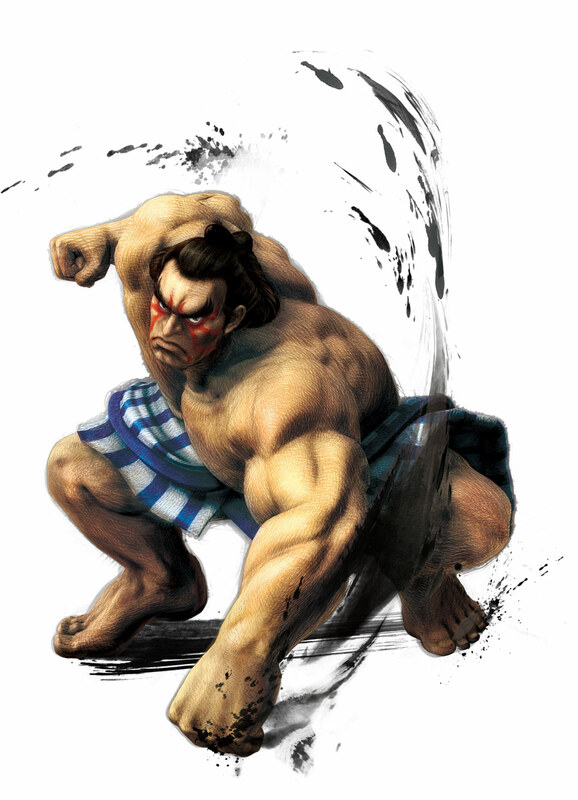 E.Honda is one of the two characters that were contributed by Mortalshinobi who is a part of Game-Art-HQ since we started back in 2011 already. 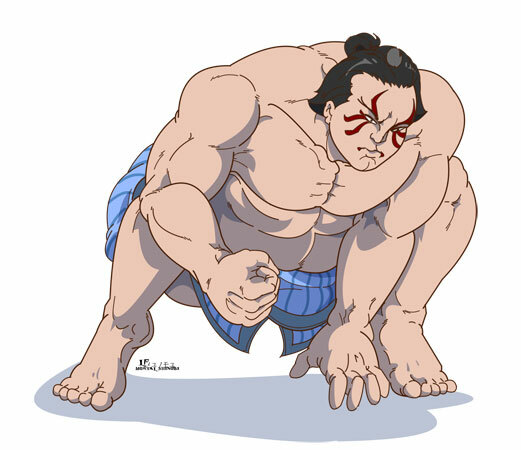 It was great to see him participating in our DB Project with Honda and Cyclops from Marvel but what I liked the most was that he made a rather serious illustration of this guy. 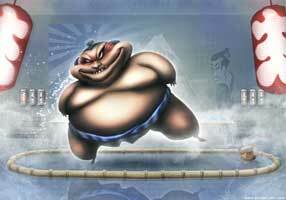 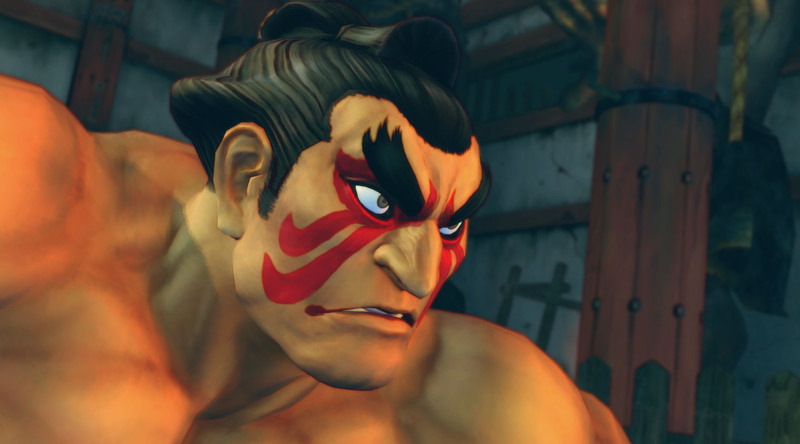 The face kinda reminds me at the painting seen in Honda’s classic Street Fighter II stage! 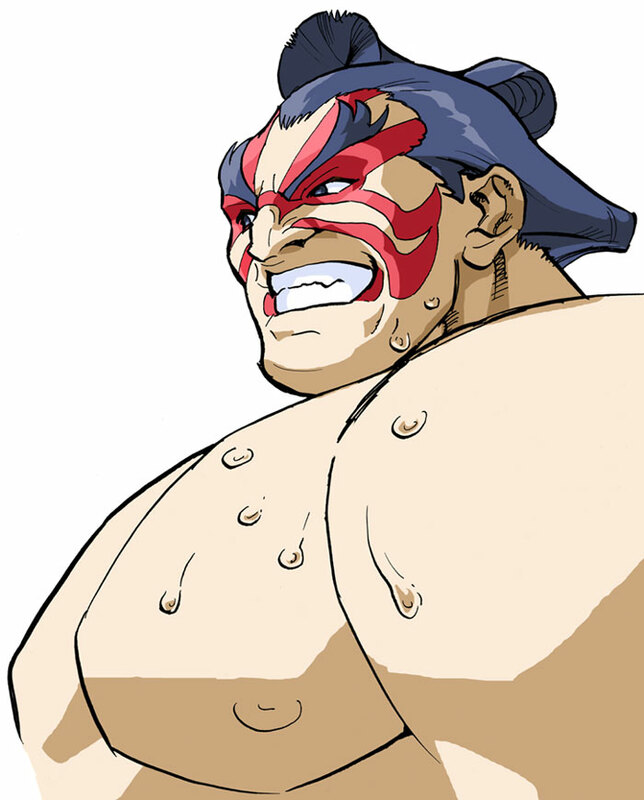 We organized a second Street Fighter Art Collaboration to tribute the 30th Anniversary of the series, this time all SF characters would be illustrated in their different designs and ages in the whole series, E.Honda is a part of it since we started the SF II part of the project in April 2017. 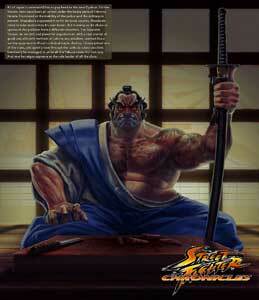 We tributed the Street Fighter series in 2012 with a giant art gallery including at least 2 illustrations of every Street Fighter character. 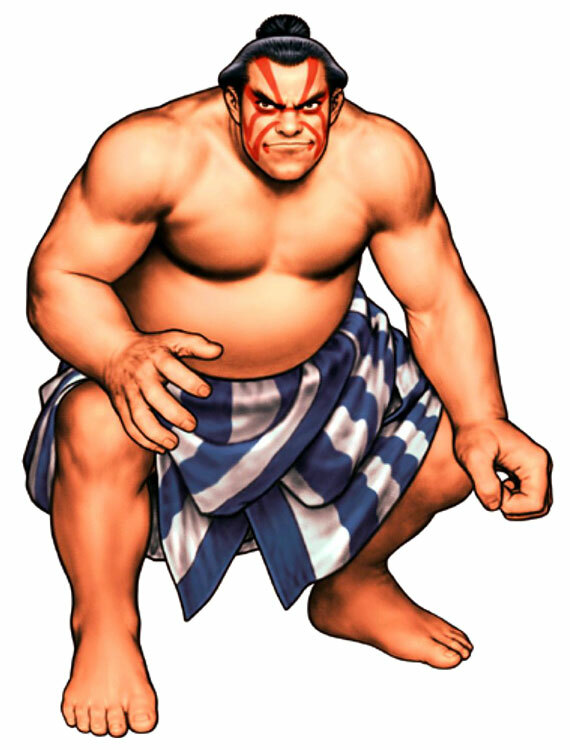 27.04.2017 – Added the section for the Street Fighter 30th Anniversary Iluustrations of E.Honda!